Plastic trash—widespread throughout the world’s oceans—intensifies disease for coral and so puts reefs in peril, a new study suggests. 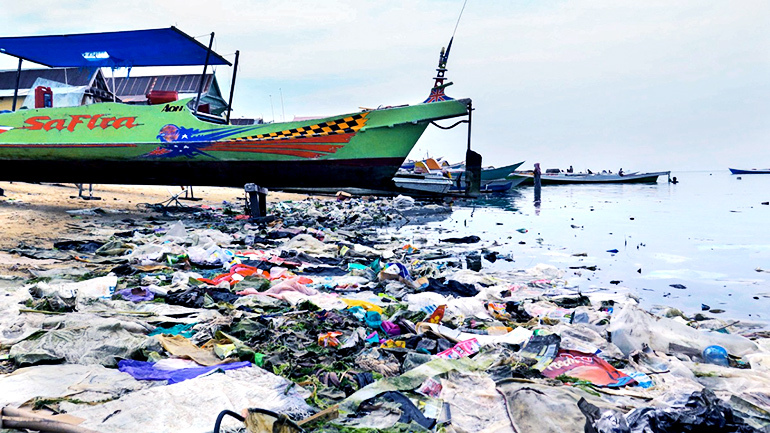 “Plastic debris acts like a marine motor home for microbes,” says the study’s lead author Joleah Lamb, a postdoctoral research fellow at Cornell University who began collecting this data as a doctoral candidate at James Cook University in Australia. When plastic debris meets coral, the authors say, the likelihood of disease increases from 4 to 89 percent—a 20-fold change. The scientists estimate that about 11.1 billion plastic items are entangled on reefs across the Asia-Pacific region, and that this will likely increase 40 percent over the next seven years. 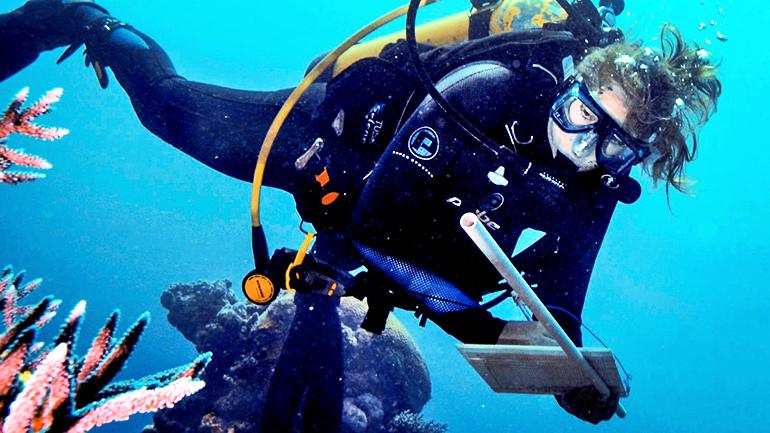 Lamb and colleagues surveyed 159 coral reefs from Indonesia, Australia, Myanmar, and Thailand, visually examining nearly 125,000 reef-building corals for tissue loss and disease lesions. The number of plastic items varied widely, from 0.4 items per 100 square meters (about the size of a two-bedroom Manhattan flat) in Australia, to 25.6 items per 100 square meters in Indonesia. This is significant given that 4.8 million to 12.7 million metric tons of plastic waste are estimated to enter the ocean in a single year, Lamb says. The scientists forecast that by 2025, plastic going into the marine environment will increase to roughly 15.7 billion plastic items on coral reefs, which could lead to skeletal eroding band disease, white syndromes, and black band disease. “This study demonstrates that reductions in the amount of plastic waste entering the ocean will have direct benefits to coral reefs by reducing disease-associated mortality,” says Lamb. Additional coauthors of the paper are from the University of Washington; the University of Hawaii, Manoa; James Cook University; the Environmental Defense Fund; Prince of Songkla University; Thailand; the Nature Conservancy; and Hasanuddin University, Indonesia. Funding for the research came from the National Science Foundation, the National Oceanic and Atmospheric Administration, the Nature Conservancy, the Environmental Defense Fund, the World Bank, the Australian Research Council, and Cornell’s Atkinson Center for a Sustainable Future.